Jonathan Dodd: Where would you put the camera? Jonathan Dodd returns with his Sunday column and this week asks, “Have you read ‘Northern Lights’?” If you haven’t, he explains why you might want to. I’m reading a wonderful book at the moment. It’s called ‘Daemon Voices’, and it’s by the miraculous Philip Pullman. I first encountered him when somebody asked me this innocent question – “Have you read ‘Northern Lights’? It’s really good”. Sometimes I can be a little put off by these invitations, especially when they go on and on. I remember once going to visit some friends from work for a meal. After the food, they asked me this – “Do you like Frasier?” I said I’d never seen it, and they became suspiciously delighted. How do you tell people that you don’t want to do something when their hearts are set on it, and you’d rather spend time with them talking, or go home, or chew your leg off? They promised that they’d only put on one or two of their favourite episodes, and I had to sit through three, with them looking up several times, to tell me how good it was, and then ask me whether I was enjoying it or not. Funny how people sometimes tell you how good something is before they ask you if you think it’s good. I made polite noises, and vowed: 1) never to go there again: 2) Never to accept weird invitations from weirdos to watch their favourite TV sitcoms, and: 3) never to watch that awful boring unfunny Frasier ever, ever again. 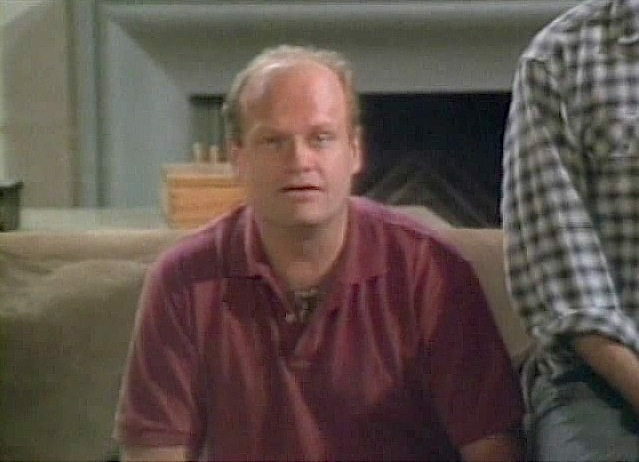 Of course, I was completely influenced by my mood at the time, and Frasier is probably quite good. I’d better also state at this juncture that I’m quite certain that many Frasier fans are quite normal people who lead interesting lives and have other hobbies and, who are capable of having all sorts of unFrasiercentric conversations. I’ll admit also, sneakily, that I did watch the whole first series many years later, and I have revised my opinion. I’m still not moved by it, but I managed to refrain from chewing any of my body parts. However, sometimes a book or programme or film is recommended to me and I understand that it must be good, because they don’t make a song and dance up about it. They present it, in the spirit that your cat might present you with a dead mouse, as an offering of something precious, and I’m inclined to try it on that basis. 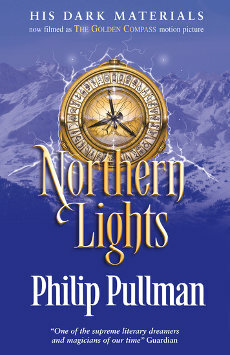 His Dark Materials trilogy, of which Northern Lights is the first book, is undoubtedly a huge work of great significance, and one of the best stories ever. It went straight to my top five favourite books, and to the top of my best-written list. Confusingly, it’s also called ‘The Golden Compass’. I recently read La Belle Sauvage, the first book of Mr Pullman’s second trilogy about the same world, a sort of prequel to the original, and I’m frustrated that I have to wait years for the next book, and the final one. I also recently watched a TV programme about him and his life, and I found him to be a lovely man, who I could have listened to for ever. He is a gentle man, an ex-teacher, who loves language, and ideas, and is able to become naturally enthusiastic about a huge range and variety of things and ideas. I can relate to all that. 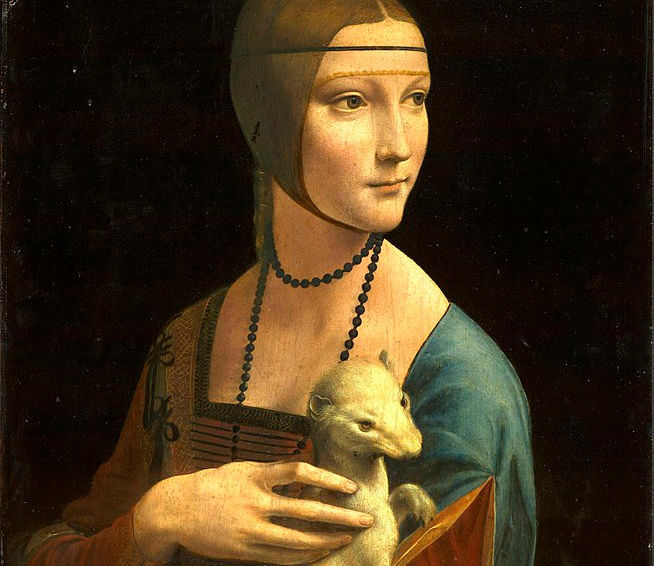 The title of Daemon Voices refers to the central conceit of the world of His Dark Materials, which is an alternative universe not totally dissimilar to ours, in which all humans are accompanied by a daemon, in the form of an animal that represents part of themselves. It’s a strange idea, but you get used to it, and it’s charming and magical and wonderful. Children’s daemons change shape all the time, but at adolescence they settle into one form, and that often seems to be in harmony with the type of person they become as adults. It’s rather a nice idea, because the human-daemon relationship is one of partnership, and interdependence, and love. They are utterly enjoined, so they can’t be separated by any sort of distance, and they’re dependent on each other. But they have their own consciousness, and they can talk to each other. It’s a bit like talking to ourselves, which we all do all the time anyway, except that it’s not us that’s answering and coming up with ideas, but a separate part of ourselves, with different qualities and abilities. If it sounds weird, just start reading Northern Lights, and You’ll get it straight away. Daemon Voices is a set of essays and speeches and forewords that Mr Pullman has written over the years for various events or volumes of stories or other books, and they contain his thoughts and ideas about writing and story. I’m absolutely loving it. I particularly like his dry, calm exposition of every sentence. He knows what he wants to say, and how to say it, and that’s exactly what he does. You feel, as a reader, completely in his hands, safe and in good company. There’s much to learn and appreciate. He’s very keen on using proper English, and being clear about who the characters are in each scene, and particularly, where the writer should place himself, as if he’s a camera making a film. This is known as Point of View, or POV for short, and it’s important because each of us as writers need to be aware not only of what we’re writing, but of what we’re telling or showing our readers and what we’re not revealing. And that’s a good habit to acquire in our relationships and conversations too. For instance, in a murder story, if we see a murder is committed in front of us, we can understand and say a lot about it, but if the murder or murderer is out of sight, that’s something else entirely. The same event occurs, but the reader is given different information about it. The art of communication, or story-telling, is dependent on the storyteller’s awareness of what the story’s about, and its success as a story is based on a controlled stream of information and events that make sense, and lead in a comfortable and natural way to the conclusion. It’s not natural, of course, but it must seem natural. Where would you put the camera? 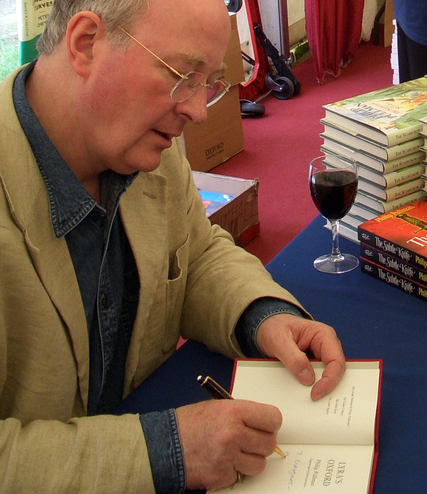 Philip Pullman talks a lot more about film directors than about other writers, because they all talk about ‘story’ and ‘plot’, far more than writers do. 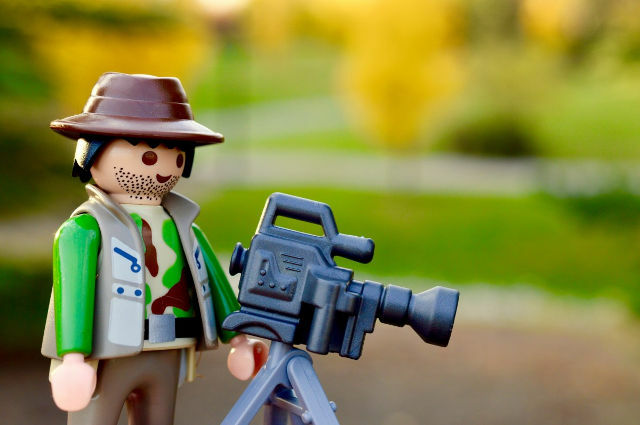 Because they need to produce images, they spend a lot of time framing each scene to produce the effect and response they want for the audience. David Mamet, one of the greatest film writers, always thinks about where you would put the camera before finishing every scene or chapter, whether it’s a book or a film. I rather like this idea, and I’m going to think about it from now on. And I’m going to ask you this question – “Have you read ‘Northern Lights’? It’s really good”. 1 Comment on "Jonathan Dodd: Where would you put the camera?"